Evidence does not support the use of ECGs among those without symptoms or at low risk of cardiovascular disease as an effort for prevention. 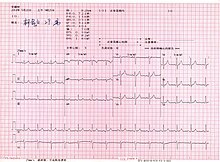 This is because an ECG may falsely indicate the existence of a problem, leading to misdiagnosis, the recommendation of invasive procedures, and overtreatment. 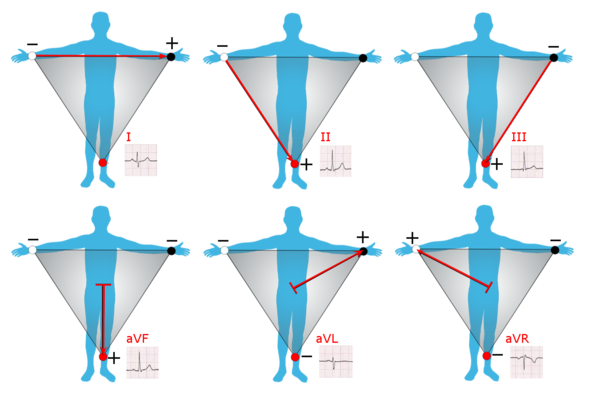 However, persons employed in certain critical occupations, such as aircraft pilots, may be required to have an ECG as part of their routine health evaluations. Hypertrophic cardiomyopathy screening may also be considered in adolescents as part of a sports physical out of concern for sudden cardiac death. ^ "What is a STEMI? - ECG Medical Training". 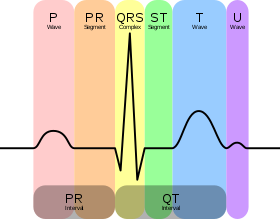 ECG Medical Training. 24 June 2015. Retrieved 24 June 2018. ^ "What is NSTEMI? What You NEED to Know • MyHeart". MyHeart. 30 April 2015. Retrieved 24 June 2018. ^ "How we'll invent the future, by Bill Gates". MIT Technology Review. Retrieved 1 April 2019. ^ "FDA approves AliveCor heart monitor". Techcrunch. Retrieved 25 August 2018. ^ "EKG Risks". Stanford Health Care. Retrieved 1 April 2019. ^ Schläpfer, J; Wellens, HJ (29 August 2017). 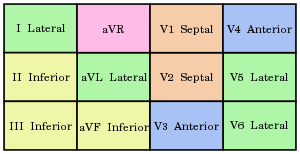 "Computer-Interpreted Electrocardiograms: Benefits and Limitations". Journal of the American College of Cardiology. 70 (9): 1183–1192. doi:10.1016/j.jacc.2017.07.723. Retrieved 1 April 2019. ^ Sensors, Cables and. 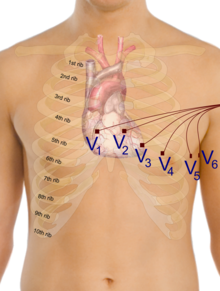 "12-Lead ECG Placement Guide with Illustrations | Cables and Sensors". Cables and Sensors. Retrieved 21 October 2017. ^ Kligfield, Paul; Gettes, Leonard S.; Bailey, James J.; Childers, Rory; Deal, Barbara J.; Hancock, E. William; van Herpen, Gerard; Kors, Jan A.; Macfarlane, Peter (13 March 2007). 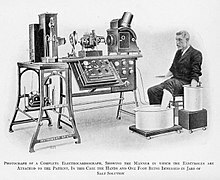 "Recommendations for the standardization and interpretation of the electrocardiogram: part I: The electrocardiogram and its technology: a scientific statement from the American Heart Association Electrocardiography and Arrhythmias Committee, Council on Clinical Cardiology; the American College of Cardiology Foundation; and the Heart Rhythm Society: endorsed by the International Society for Computerized Electrocardiology". Circulation. 115 (10): 1306–24. doi:10.1161/CIRCULATIONAHA.106.180200. PMID 17322457. ^ de Winter, Robert (6 November 2008). 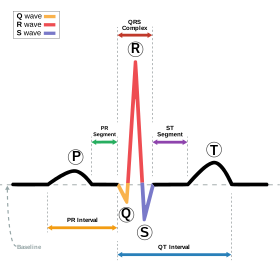 "A New ECG Sign of Proximal LAD Occlusion". NEJM. 359 (19): 2071–3. doi:10.1056/NEJMc0804737. PMID 18987380. ^ "Dr. Taro Takemi". Takemi Program in International Health. 27 August 2012. Retrieved 21 October 2017.